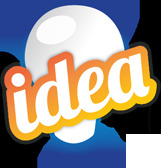 Hi, I'm the lead programmer at Kodiak Apps, and we would love to program your app. We have a team of programmers and designers ready to work with you every step of the way, and help make developing your application as painless and as effective as possible. If you are interested in working with us, just shoot us an email at kodiakapps@gmail.com. Thanks!